Our company is engaged in the production of liquids for electronic cigarettes. The superiority of quality over price is our unshakable principle! We are a team of enthusiastic friends, for us it is not just a business, it's an opportunity to do what we love, creating a product that we ourselves are consumers of. Therefore, compromises are unacceptable for us at any stage of the work. Constant quality control, search for new interesting solutions, tastes, constant communication with consumers are not just words, not a template marketing nonsense, beyond which nothing stands. For us, this is everyday work, which we do with pleasure. 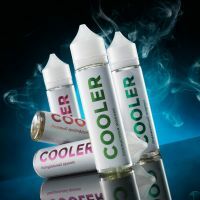 COOLER E-JUICE SALT NIC 60ML Pink grapefruit - Sweet juice of ripe pink grapefruit straight from the fridge. During the heat it is impossible to ..